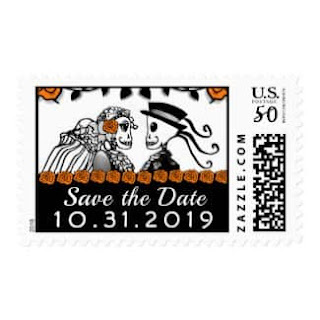 After you've picked out your perfect invitations, send them out with an extra touch of Halloween flair with custom postage. 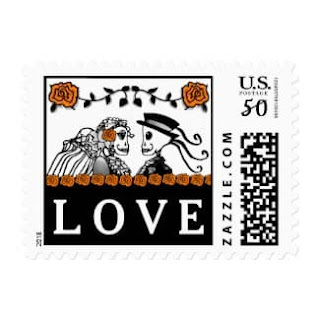 Prices Vary According to Denomination and Size. This design comes in three colors, purple, red & orange and also matching RSVP postage. 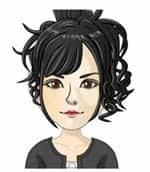 You can easily pick the rate you need from postcard on up. 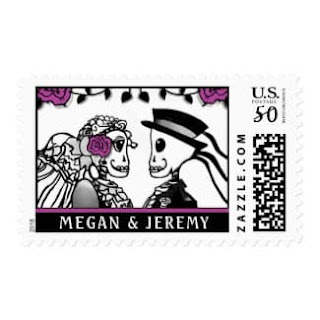 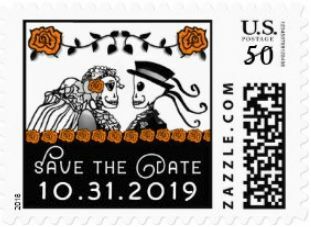 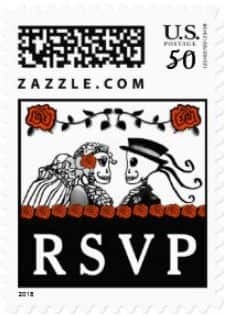 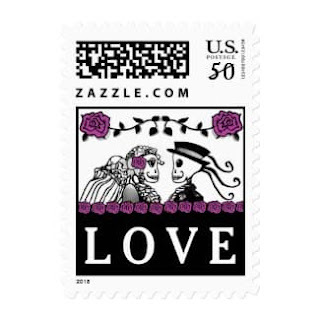 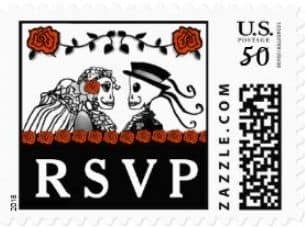 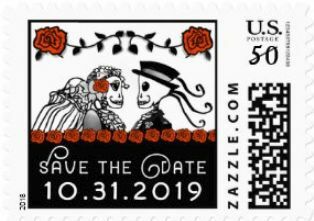 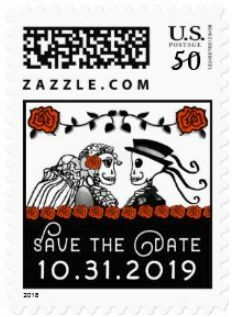 Halloween Wedding Skeletons & Roses Custom Postage Add a special touch to your wedding envelopes with these Bride & Groom Halloween Skeletons & Roses Postage Stamps" Regular price: $23.35 $23.35 In stock!